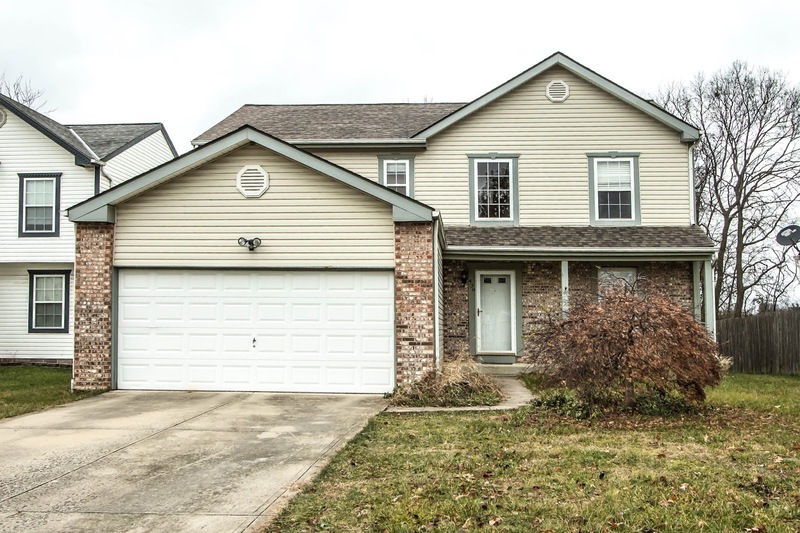 Two-Story home with ~2,200 SF on a deep lot backing to tree lines. Two story Foyer opens to a large Living Room/Den. Fully applianced, island Kitchen has wrap around oak cabinets and walks out to a 3 Season Room with vaulted ceilings. Expansive Family Room has art niche and corner gas fireplace. First Floor Laundry. Loft/Den/4th Bedroom overlooks Entry. Owner’s Suite has His & Her’s walk-in closets and private Bath with garden/soaking tub. Full Basement(ready to finish) with Bath rough-in. New furnace, new central air, new water heater and more! 4 BRs and 2.5 Baths. Hamilton schools. Only $184,900! Call DeLena today!